What Is It? This animated series takes place in the 22nd century when humans (referred to as Terrans) have terra-formed Venus and Mars with the use of exo-skeletons known as E-Frames as well as a race known as Neosapiens that were created as workers / slaves. The Neosapiens rebel against the humans, though, and conquer Earth, Venus, and Mars. The main focus of the series is on Able Squad, an elite unit of mecha pilots comprised of mostly humans and one Neosapien who is loyal to the Terran cause, as it aids in the fight to restore balance in the solar system. Why It Stands Out: Because it delivered an Anime-style sci fi epic with well-developed characters and engaging storylines that was unlike any non-Japanese import on television at the time. Is It Must Watch Sci Fi TV? For fans of animated sci fi, I would definitely say yes. This series compares favorably to mecha Anime like the Macross and Gundam shows and also to some of the better American-made animated shows like The Adventures of the Galaxy Rangers. The Skinny: Exosquad sought to capitalize on the popularity of Anime at the time it was created and bring a similar type of series to the American audiences. The epic story focused on a war that had broken out across the solar system between humans and the Neosapiens they had genetically created. As with classic Anime, the series introduced sprawling storylines with more mature themes than typically kid-focused animation and also populated the show with well-developed characters. The show combined politics with human drama and gave us flawed characters that struggled with their own biases at the same time that they were fighting a war for survival. And while at times it could revert to the formulas of American animation as well as copy-and-paste dialogue, it managed to transcend that more often than not and deliver an engaging saga which tapped into the potential of the animated medium. Sadly, due to poor distribution, the show did not have as wide of an audience as it could have (more on that below) and has since been mostly overlooked and/or forgotten by fans of sci fi and animation. This one may not reach the heights of some of the all-time classic Anime entries, but it was definitely a gem among American animation. It’s hard to find the full series these days (more on that below), but it is definitely worth searching out especially for fans of sci fi animation. Cancelled Too Soon? When Exosquad first debuted, its initial season proved popular and it was picked up up for a second, extended season. But due to a change in the syndication market in the mid-90’s, the show ended up getting pushed to poor timeslots. Its second season did wrap up the Neosapien war, but the first episode of a proposed third season ended on a cliffhanger that suggested an alien threat was headed to the Earth system. 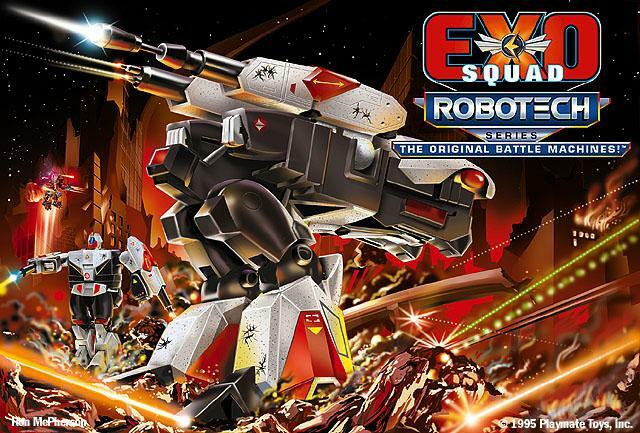 The hopes were that the story would be continued into a new season or a movie, but the low ratings from the show’s second season resulted in Exosquad getting shelved. Should It Be Rebooted/Revived? A reboot would seem like a bad idea because that basically throws out the 52 episodes already completed for the show. But a revival certainly would be welcomed. The second season ended with a new threat headed to the solar system, so the revival could just pick up at that point. I don’t know whether any of the original voice actors would be up for returning (it has been over twenty five years), but I am sure they could find a voice cast up to the challenge. But since this one never developed much of a following, I’m thinking the chances of a revival are slim. Interesting Fact: A joint line of Exosquad and Robotech toys was released in the mid-90’s suggesting the two properties might cross-over. According to Ron McPherson who provided the artwork for some of the toy boxes, the reason was: “MONEY and Story extensions for the animated series. PLAYMATES Toys needed line extensions and Universal needed more storys so they licensed the old ROBOTECH characters to add to EXOSQUAD because the were an acceptably close match up.” Exosquad was already cancelled by that point, though, so the cross-over only occurred with that short-lived line of toys. Where Can You Watch It? The first season is available on DVD and VOD, but unfortunately the second season has never received an official release. The show was streaming on Hulu for a while, but it has since disappeared from the major streamers. You can find episodes on YouTube, so if you pick up the Season 1 DVD you can continue watching it on that venue (though the video quality is somewhat hit-or-miss). If Exosquad had ENDED with Fall of the Neosapien Empire part 5, the series WOULD HAVE BEEN FLAWLESS. Where they jumped the shark was BEYOND CHAOS. WHY O WHY was Beyond Chaos aired? Why was it not the season 3 first episode? Why were there not more unreleased episodes that built on Beyond Chaos to introduce the Aliens? This is either the stupidest decision in sci Fi history or pure trolling. Babylon 5 had the same problem. 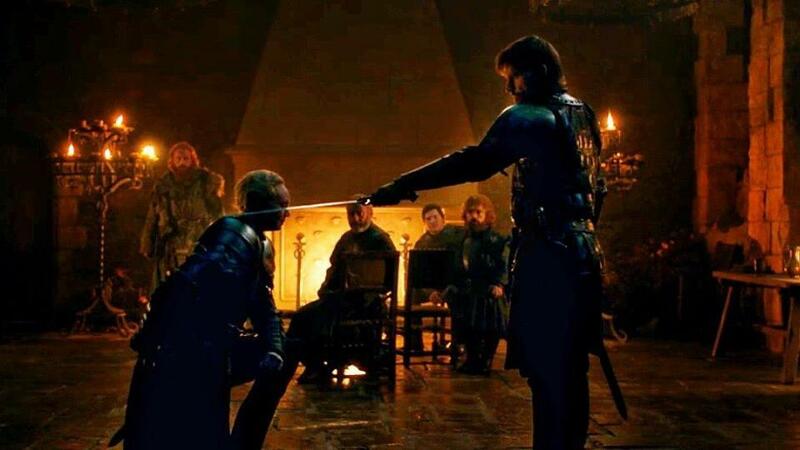 The episode Endgame would have perfectly ended the 4th season. Instead: they shoehorned in 2 more episodes which ruined the climax and resolution of Season 4 and then followed up with a lackluster Season 5. The same thing happened with Space Above and Beyond. NEVER END ON A CLIFFHANGER. They could have built a season 3 and released it direct to DVD. Instead they leave us with unresolved canon conflict. The only way I could see getting a proper resolution to this show is TO RELEASE A VIDEO GAME THAT BUILDS UPON THE WAR coming in Season 3. It would be similar to TITANFALL with a plot somewhat like Command & Conquer 3.